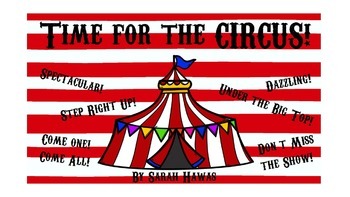 This packet is full of CIRCUS themed decor to help make your classroom management a breeze! Make sure to check out the preview before purchasing. 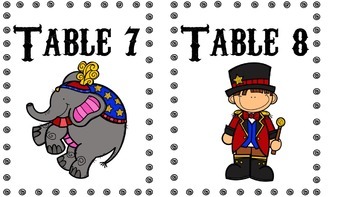 *Table Numbers-This is a great way to display table numbers in your classroom! It helps make classroom management easy peazy lemon squeezy and it is adorable! *Binder Covers-These pages are super cute and will help you stay organized through your year in the CIRCUS. They are available in color or black and white. 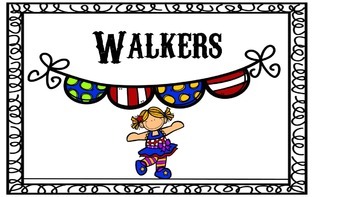 *Classroom Transportation Display-This is a great transportation display for your classroom! It helps make changes in transportation super easy by using clothespins! 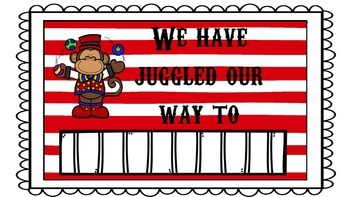 *Where are we sign-These pages are great to show where your class has JUGGLED off to. **Please remember that purchasing this packet entitles the PURCHASER the right to reproduce the pages for ONE classroom use only! The pages are not editable. If you have a specific request or need something changed, please send me a message.